Today’s guest post was written by Press Release, who recently turned 107 years of age. It’s not easy being me. 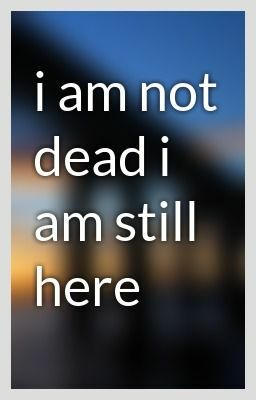 After all, how would you like to wake up nearly every day to wave after wave of news articles and blogs and opinion pieces urging me to “die die die” or to articles claiming that I have actually been dead for several years already. It hurts. But it’s hogwash. Thankfully, I have resolve, staying power and a thick skin. I keep reminding myself that at 107 years old, I am battle tested and a true survivor. How do you think Business Wire grew over the last 50-plus years to become a company that employs over 500 people in 32 bureaus around the world? Well, it happened on my back. And don’t forget that the Oracle of Omaha acquired Business Wire more than seven years ago and is now enjoying more growth as a subsidiary of Berkshire Hathaway. So if Warren Buffet sees business value in me and recognizes that I’m able to adapt and morph and even thrive in the constantly changing world of news distribution and communications, well then dismissing me seems like a bad idea. What about PR Newswire, the other big distributor of press releases? PR Newswire, which is also more than 50 years old, provides service to tens of thousands of corporate clients around the world. PR Newswire, Business Wire and the entire community of news distribution companies that includes Marketwired, PRWeb and dozens of free services all have one thing in common: they built their reputation and their business on my back. There are those in the news community who say no one reads press releases. Take freelance journalist/author Amy Westervelt for example, who recently wrote in her blog that the press release is dead, please stop trying to revive it. … No one in the media reads press releases. Not a single person, I promise you. For some reason, companies still ask for them, publicists still write them, the wires still publish them—this whole completely unnecessary and ineffective ecosystem still exists. Stop it. Please. The only time I ever, ever hear a media person mention a press release is to mock it. Hmm, I beg to differ, Amy. To no one’s surprise, so does Sarah Skerik, vice president of content marketing for PR Newswire. Hey look, I’m not saying that I’m the be all and end all. But if you use me in a thoughtful and strategic way like you do with your blogs and emails and tweets and whitepapers and eBooks — you know, as part of your targeted content plan and not indiscriminately like I see so many companies still doing while giving me a bad name in the process (aka spam), then I am going to deliver results for you. I promise. That’s my story and I’m sticking to it. This entry was posted in media relations, public relations, Uncategorized and tagged Amy Westervelt, Berkshire Hathaway, BusinessWire, MarketWired, Oracle of Omaha, PR Newswire, PRWeb, Sarah Skerik, Warren Buffet by Jim Barbagallo. Bookmark the permalink.